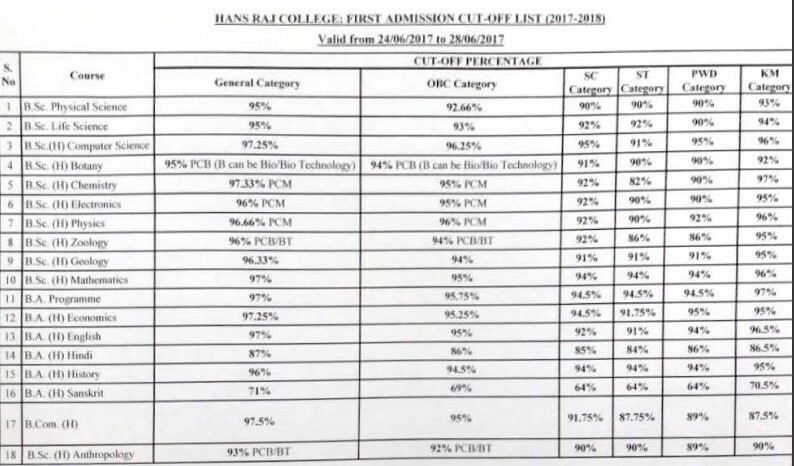 Home > Entranceexam > Hans Raj College Admission And Cut Off 2018 - Sixth Cut Off Released! 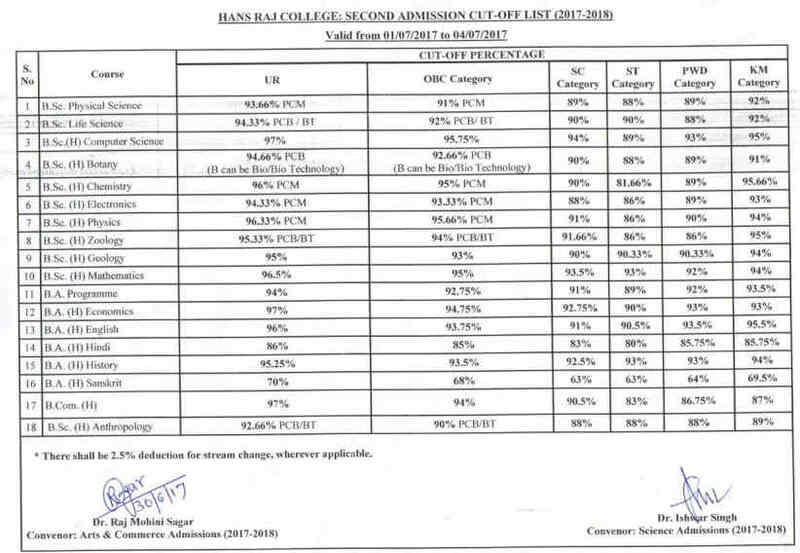 Hans Raj College Admission and Cut Off 2018 - Sixth Cut Off Released! 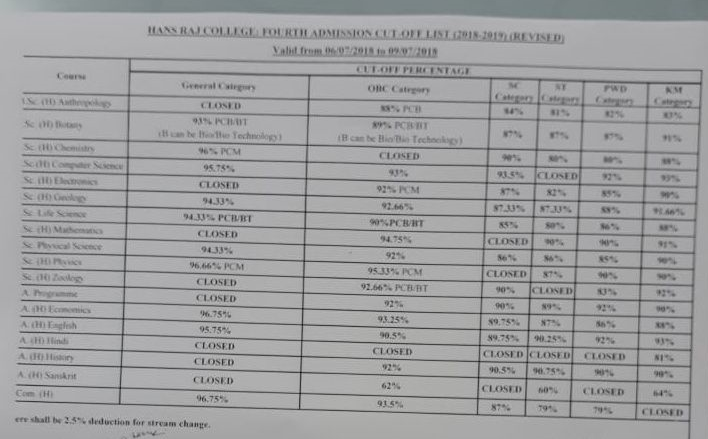 Hans Raj College has released the sixth cut off list on 17 July 2018. Hans Raj College is one of the largest constituent colleges of the University of Delhi. 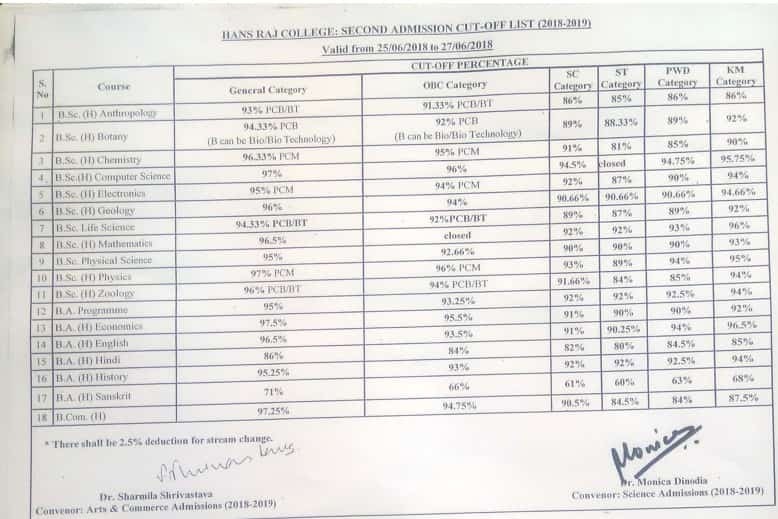 Hans Raj College Admissions are done on the basis of Class 12 marks through Delhi University's centralised admission process. 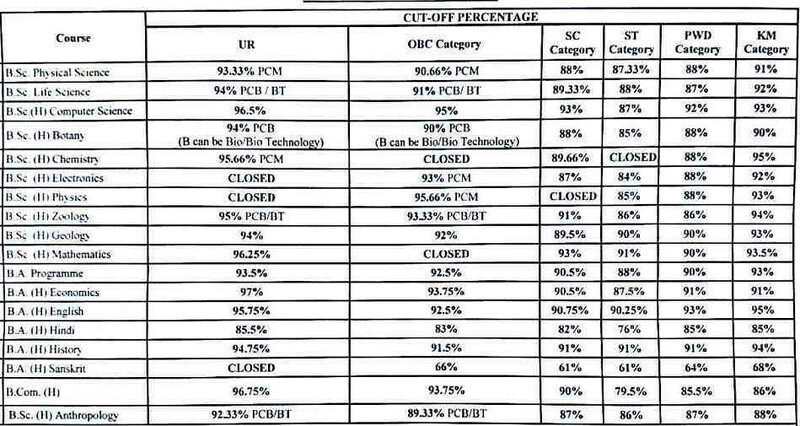 Hansraj College had already released the first, second, third, fourth and fifth cut off. 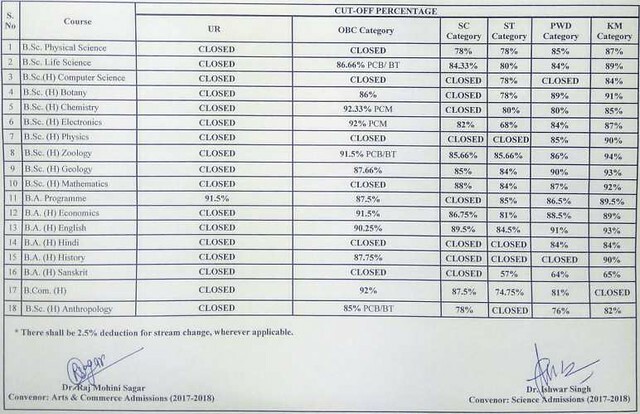 Now the college has released the sixth cut off 2018 on 17 July 2018. Based on the cut off lists, the candidates can approach the college for document verification and admission process. Hans Raj College was founded by the DAV College in the memory of Mahatma Hans Raj, a pioneer in the field of education. Located at the North Campus, the college offers education in all the major three streams namely, Arts, Science, and Commerce. 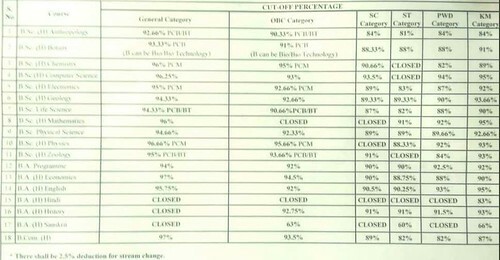 The cut off indicates the minimum marks required to get admission to a particular college. On this page, the details about the Hans Raj College Admission is given below. 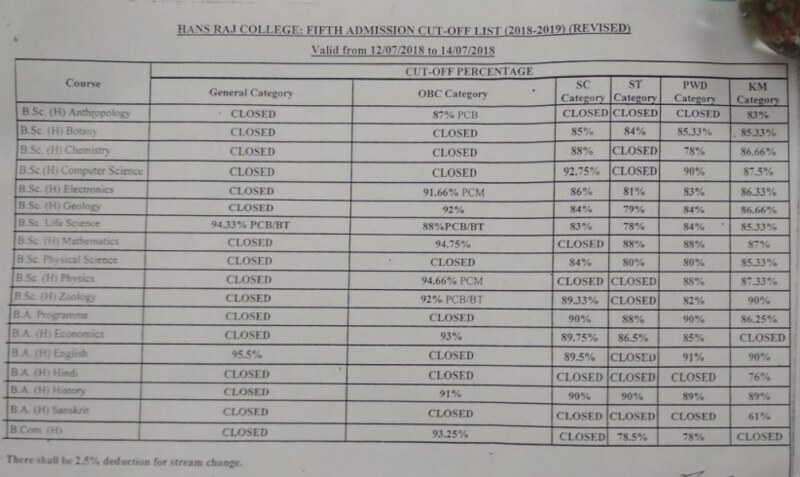 Latest Update - Hans Raj College has released sixth cut off on 17 July 2018. Fifth Cut off List - Released! Sixth Cut off List - Released! 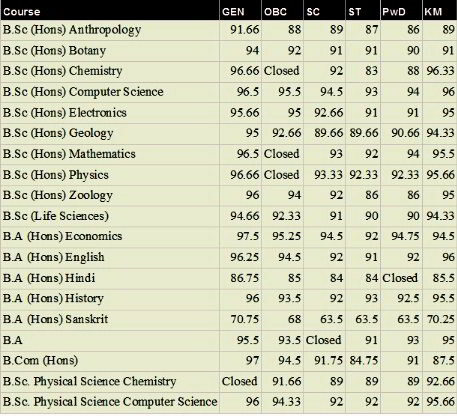 B.Sc (Hons) in Botany, Chemistry, Anthropology, Computer Science, Electronics, Geology, Life Sciences, Mathematics, Physics, Physical Science, and Zoology. The college also gives hostel facilities to the enrolled students. There are a total of 198 seats available in the hostel of Hans Raj College. the candidates must note that the accommodation will be offered to the eligible applicants subject to the merit of the student and availability of seat in the hostel. The Delhi University invites the application for the colleges affiliated with the University. The annual fee for Hans Raj College is now available as per the category of the candidate. The candidates can get the complete list of annual course fee payable for different programmes. The annual fee for each programme offered in the Hans Raj is given below in INR. The candidates can go through the table below. 5th list of candidates selected on the basis of extracurricular activities has been released by Hans Raj College on 8 August 2017. Total 1 candidate is shortlisted for admission and the shortlisted candidate reported to the undersigned on 9 to 10 August 2017 between 9 am to 1 pm with original documents. 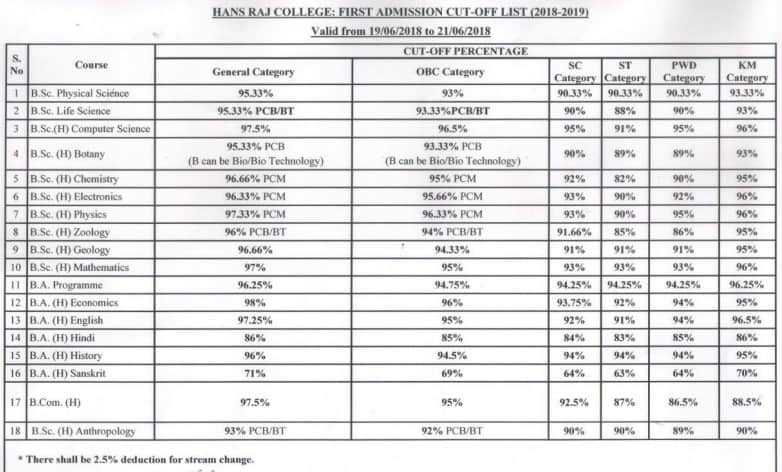 The Cut Off indicates the minimum marks required to get admission in the college Hans Raj College also gives hostel facilities to the enrolled students. Hostel Seats for both boys and girls seats available in Shri Ram College of Commerce hostel. Fourth Cut Off - Available Now! Fifth Cut off List - Available Now!